I took the day off today. (Well, technically, I did do a 20-minute business chat with a new client, but the rest of the day was spent not working.) I thought about working, I just did other things instead. It was a really nice day. Beautiful weather, sunroof open, lots of happiness. When I reflected on my day today, I couldn't help but smile at the huge transformation my life has gone through in the past 13 months. I used to read loads of blog posts and articles about the "laptop lifestyle" and "working when you want" and I thought to myself, "It sounds so incredible, I wish I could be like them and have a business like that..."
I didn't major in business. I've never even taken a business course. Yet here I am, a successful entrepreneur who started her own business. From scratch. With no money. No support. Not even one person encouraging me. For a long time, I thought the entrepreneurial life was something I'd only read about and would see OTHER people enjoying. I don't want you to think that it's an overnight deal. It wasn't for me and it isn't for anyone else. Those don't exist. Every "overnight" entrepreneurial success story actually includes years of hard work and dedication that most people never see. I worked very hard. Every single day, seven days a week, with many of those days being 10-12 hours of frustrating work. The 10,000+ hours would have been much easier if I had a coach or a mentor, but I didn't have either. I had no idea where to find a mentor at the time, and I had no money to pay a coach. What kept me going through the tears and the frustration was sheer stubbornness and (at first) the desire to prove everyone wrong. I wanted to prove to all of my naysayers (and there were many!) that, even though I'd been "just a teacher," I could create a successful business from scratch and help others to do the same. After many months passed, I really just wanted to prove it to myself. I didn't think nearly as much about those who doubted me; instead, I focused solely on achieving the success for ME. In the end, this is a much healthier way to go! I want you to know that YOU CAN do this, too! No matter where you are in your own entrepreneurial journey, and regardless of the difficulties you may face, if you really want it, you'll find a way to get it. Mindset is a very powerful thing, and a positive mindset can take you as far as you want to go. Hang in there. Work Smart. Hustle. The life you're after is right around the corner. If you'd like some support, cheering and a great place to ask questions and get answers (and you're a female!) 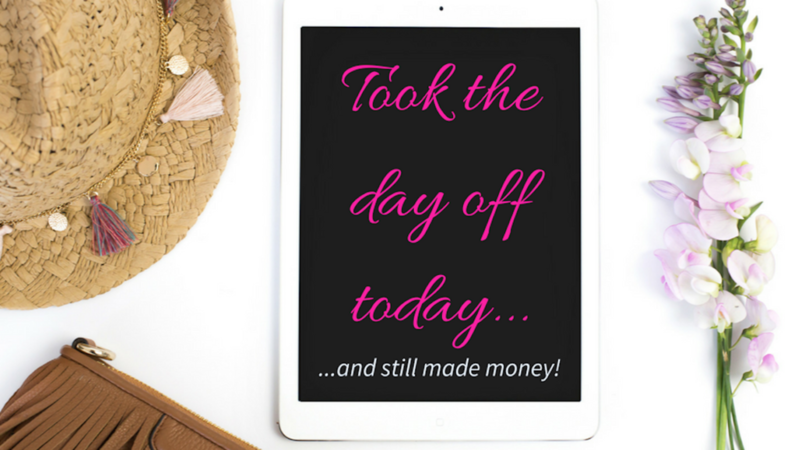 I'd love for you to join the TOTALLY AWESOME WOMEN ENTREPRENEURS Facebook group. It's filled with like-minded women who are thrilled to help you and learn with you--as you all grow your businesses. Join the group here. Feel free to sign up for your own 20-minute biz chat here. I'd love to help you.